Think Filipino food you would most likely think Adobo and Belut. Adobo is the way of cooking using Soy Sauce, Vinegar and Wine. Belut is the 18 day old duck embryo cooked in the egg. Not very exciting. That’s why I had eaten Chinese, Japanese, Western and everything else, but very little Filipino when I go to Philippines. So I decided to try a local popular joint to see if I can clear this misconception. The starter was a crispy pulled catfish with mango salad. 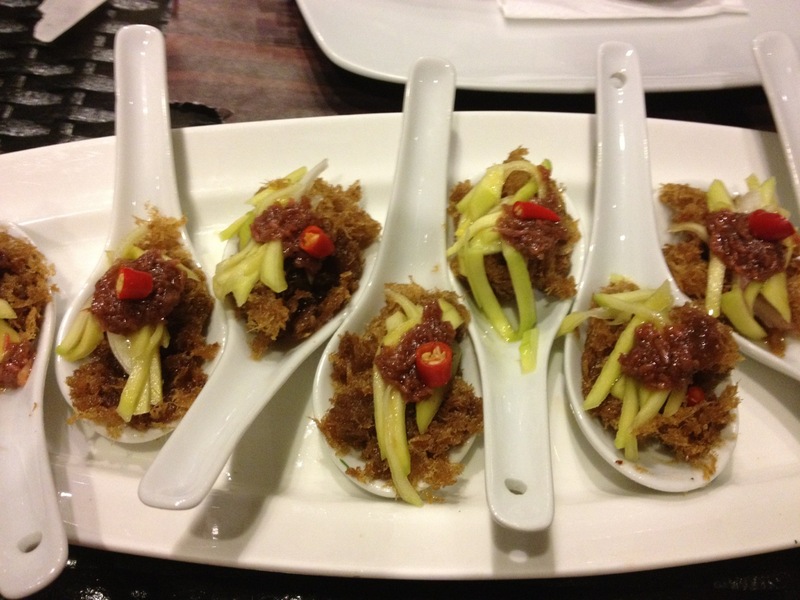 It was made up of a deep fried flakes of fish with vinegared mango julienne. We had to send it back because it was too oily. “Standing” Crispy whole chicken carved right at your table – was exactly what it was. 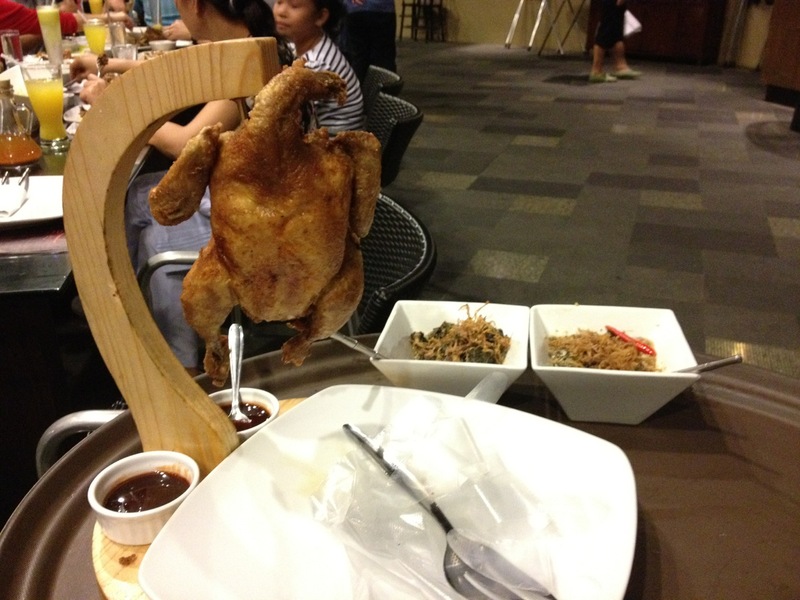 A whole chicken deep fried and hacked into pieces at your table. The chicken was dry and the oil used to deep fry the fowl was used repeatedly for different stuff. 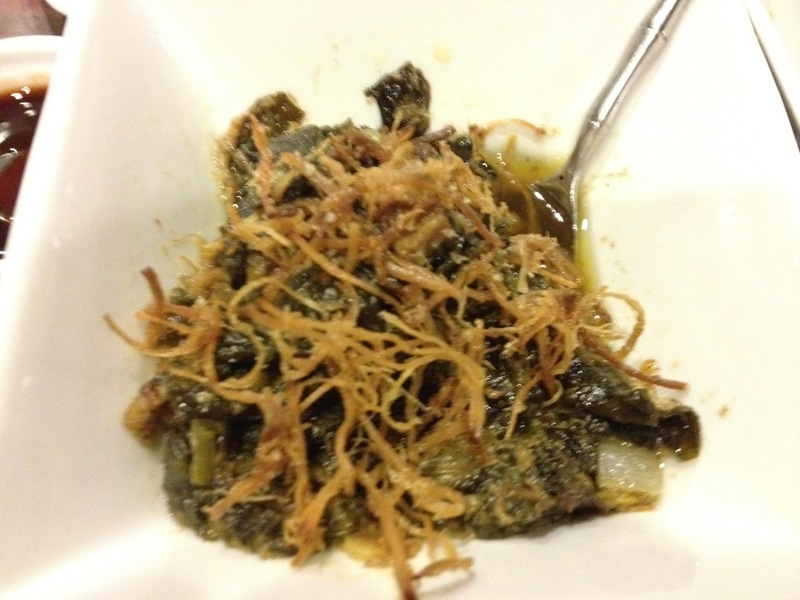 Taro leaves, pork, shrimp paste and coconut cream topped with adobo flakes, served original and crispy. 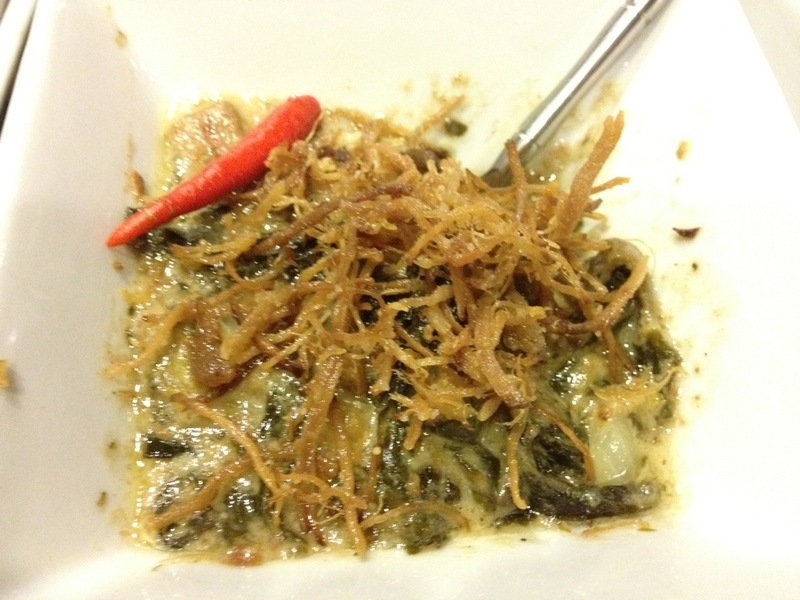 This dish was supposed to be a veg dish, but it was salty, oily and “gelat” (greasy in a bad way). 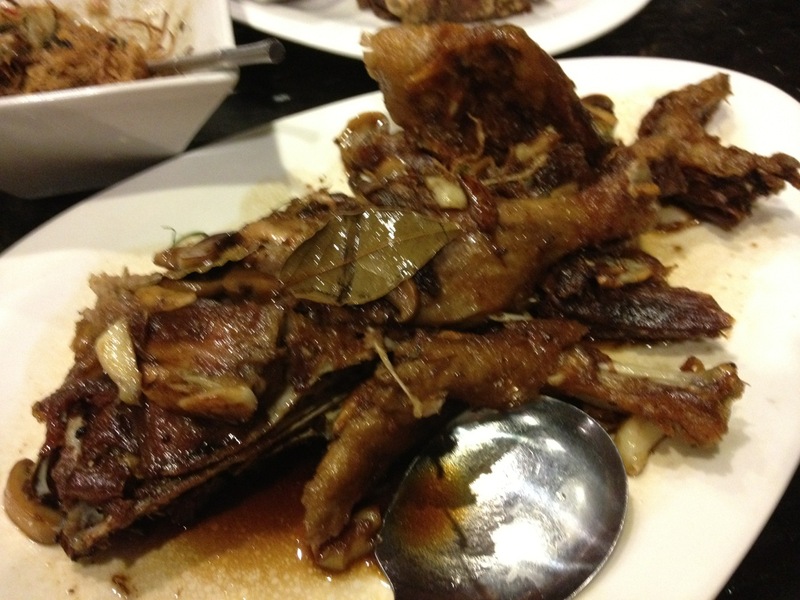 A word play on the Patatim (soy braised pork), Patotim is a braised pork dish substituted with Pato (or Duck). Salty and Oily. OK, here’s the simple conclusion – salty and oily. Too much meat, not much layer in terms of taste, and have to fry everything. The first thing I have to do the next day was to have a steamed fish and stir fry vegetable.